When lenders take over a home through foreclosure, they want to sell it as quickly as possible. Since lenders aren’t in the real estate business, they usually turn to real estate brokers for help marketing their properties. Buying a foreclosed home through the multiple listing service can be a bargain, but it can also be a problem-filled process. 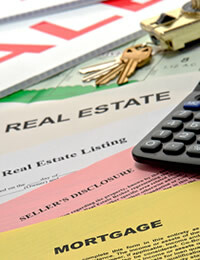 Foreclosures offer great opportunities to purchase a home at a low price. 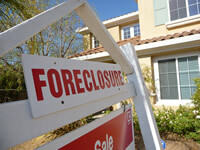 The South Florida area was hit particularly hard with foreclosures. It has a large inventory of bank-owned properties for sale, which represents never before seen opportunities to purchase real estate at low prices. Should you want to go ahead with buying a foreclosure, here’s a few things to keep in mind. 1. Choose a foreclosure sale expert. Lenders rarely sell their own foreclosures directly to consumers. They list them with real estate brokers. You can work with a realtor who sells foreclosed homes for lenders, or have a realtor find foreclosure properties for you. 2. Be ready for complications. In some states, the former owner of a foreclosed home can challenge the foreclosure in court, even after you’ve closed the sale. Ask your realtor to recommend a real estate attorney who has negotiated with lenders selling foreclosed homes and has defended legal challenges to foreclosures. Have your attorney explain your state’s foreclosure process and your risks in purchasing a foreclosed home. Set aside as much as $5,000 or more to cover potential legal fees. 3. Work with your realtor to set a price. Ask your real estate agent to show you closed sales of comparable homes, which you can use to set your price. Start with an amount well under market value because the lender may be in a hurry to get rid of the home. 5. Expect an as-is sale. Most homeowners stopped maintaining their home long before they could no longer make mortgage payments. Be sure to have enough money left over after the sale to make at least minor, and sometimes substantive, repairs. Buying foreclosures is not the for the faint of heart. But they do offer great opportunities to buy properties at low prices, if you can handle the additional complexity involving such transactions. Your realtor will be critical in helping you navigate the purchase process successfully. 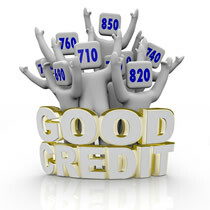 You’re entitled to a free copy of your credit report annually from each of the major credit-reporting bureaus, Equifax, Experian, and TransUnion. Review them at least once a year to ensure the information is accurate. These guidelines should help you make an educated assessment of your particular situation on your own. However, always consult your financial adviser or tax preparer for a qualified opinion that takes into account your full financial situation.